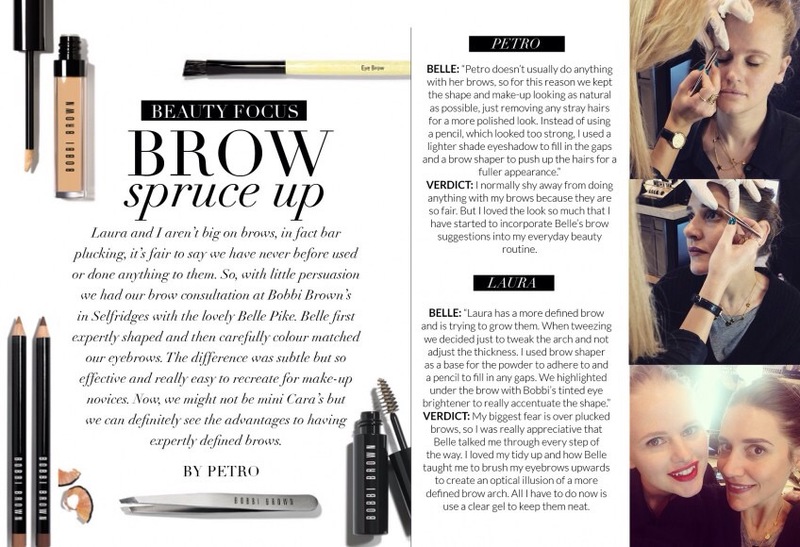 As part of my current internship with CCD PR I’ve been lucky enough to do some writing for their beauty blog. 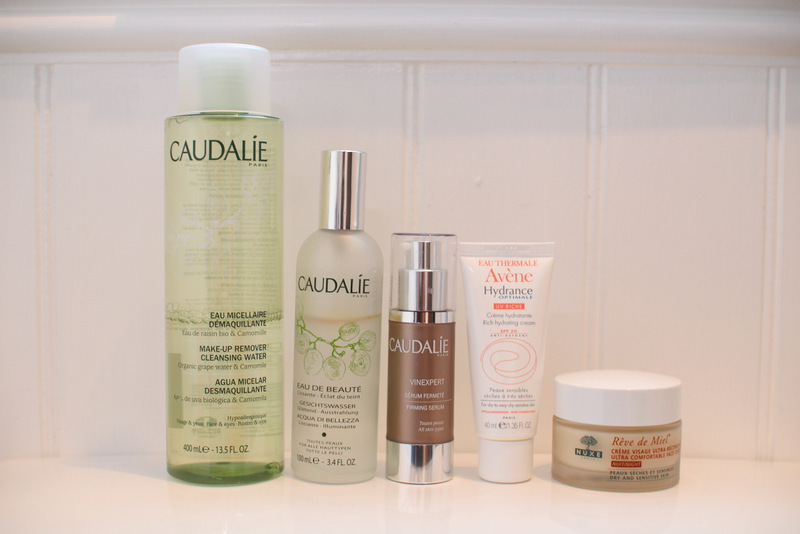 I’m a huge Caudalie fan. The products have such an incredibly luxurious feel to them, but more importantly they consistently deliver amazing results. With a slightly higher price tag than your standard boots bargains they are never the less well worth it! Caudalie cosmetics use vine and grape extracts from the vineyards of Bordeaux, Champagne and Burgundy. 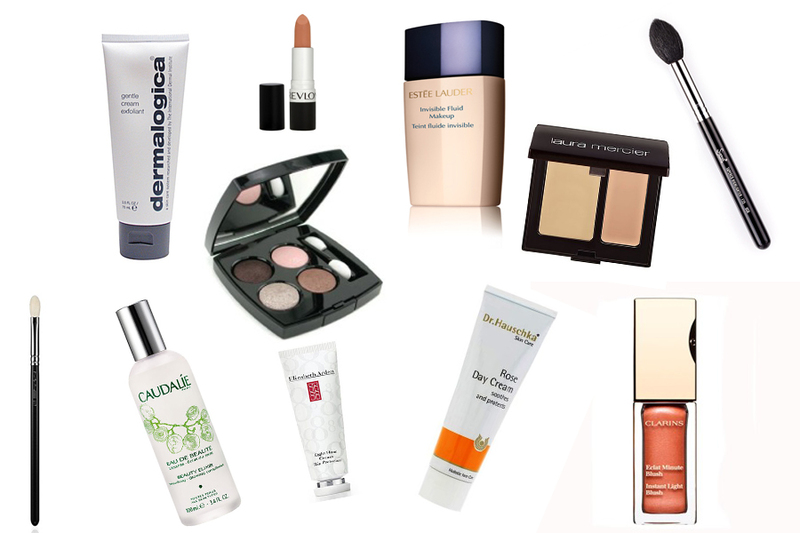 You will never find any parabens, phenoxyethanol, mineral oils, genetically modified organisms, paraffin, Synthetic artificial colorings, sodium laureth sulfate, phthalates or animal-derived raw materials in Caudalie cosmetics – no nasties just pure and simple natural and environmentally friendly active ingredients. There are three main ingredients: Grape-seed polyphenols, known as the most powerful anti-oxidant in the plant world; resveratrol, from grapevine stalks, the anti-ageing revolution and viniferine from grapevine sap, the most effective natural molecule against dark spots. 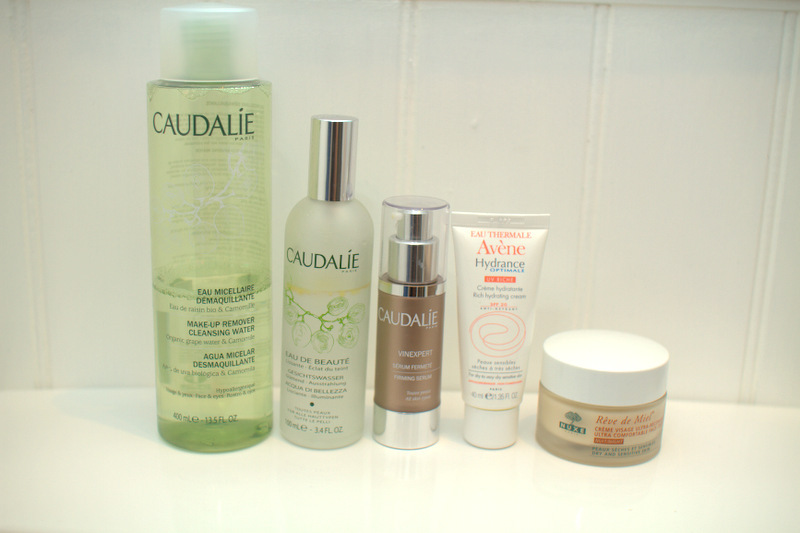 I first started using Caudalie a year ago, with the Beauty Elixir. The only word that perfectly describes what this product delivers is ‘radiance’. Glass bottles always win me over and this fine spray of essential oils is such a great product for setting makeup for a less ‘done’ look, refreshing skin throughout the day and as a toner. It’s particularly great in the morning to wake you up as it has a slight menthol tinge that really perks you up! 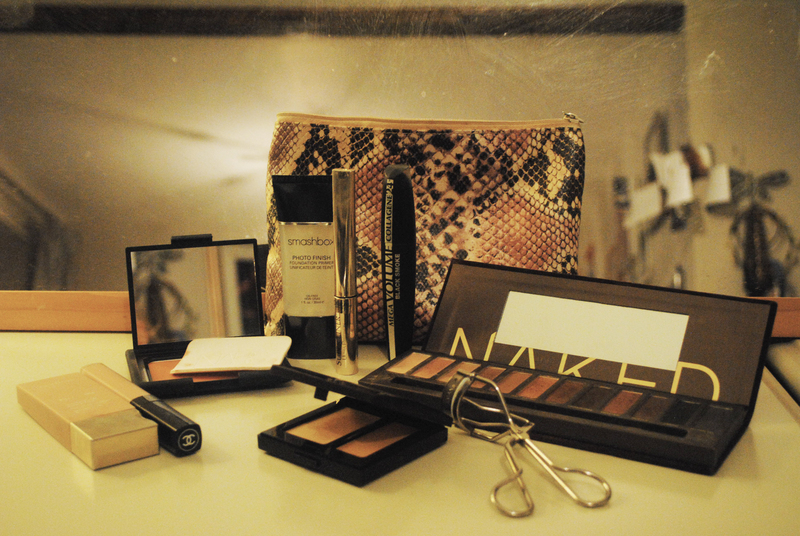 There’s nothing better than the feeling of taking your makeup off after a long day! I use this micellar everyday. You can use this morning and evening, but I usually just use dove soap bar in the shower in the mornings. I love the scent of the micellar water plus the fact that it doesn’t leave me all red eyed and sore after using it on stubborn eye makeup! Really great product if you have sensitive skin. The firming serum is advertised as an anti gravity treatment. My main concern when I was looking for the right serum for my skin was finding a product that would help treat a frown line that if not dealt with pronto could become a permanent very obvious fixture on my face! This product is probably more suited to someone who is mature and finding that the collagen and elastin production has slowed down significantly and they want something that’s going to help re-contour the face ‘the anti gravity treatment’. I’m definitely not in the ‘mature’ category. However, since using the serum morning and evening I have noticed a real improvement in the evenness and texture of my skin and, in particular, treatment of my frown line. Vinexpert Serum appears to have smoothed out any early signs of furrows or fine lines! The product absorbs quickly, has a beautiful calming fragrance with a lightweight feel and smooth texture. I only hope I can afford to keep using it long term! This is my perfect day cream. Branded for dry to very dry skin, considering this, and the SPF that can sometimes make a cream feel heavier, the texture is smooth and easy to apply. This is because it is based on meiboserin which limits the evaporation of the Avéne Thermal Spring Water from the skin and Lipomusin which increases coverage across the skin. You also have antioxidant protection with this product – Antioxidants can reduce the signs of aging, calm imflamed skin, and protect skin by limiting the production of free radicals which can damage skin cells. I use this on top of the caudalie serum every morning. SPF is such a key element that should be taken into consideration with any day cream. If you truly want to take care of your skin and prevent premature aging you must choose a day cream that has at least an SPF of 20, anything above is a bonus! The wonder worker and repair expert, skincares most covetable item is the glorious night cream! While we sleep it is a well known fact that this is the time when our skin repairs itself and the metabolic activity of the skin cells are at their highest. Dry skin types in paticular need additional lipids. This rich, creamy texture replenishes lipids during the night. It feels quite heavy on application however it does sink into the skin eventually. In the morning I’ve noticed a big difference in my skin since using this; It looks plump, smooth and feels so soft! Honey helps to repair, argan oil, barley and shea butter soothe and precious plant oil, safflower ceramides and sunflower oil replenish lipids. If that’s not enough to win you over then the scent certainly will, incredibly natural. When applying serum always remember this is not a face cream. Serums need to be pressed gently into the skin before using your day or night cream on top. Don’t waste any product. Give your hands a treat, rub excess product into your hands. As the weather changes so does our skin. Moisturizers can be layered to suit your skin’s needs. For a very natural day look use a foundation brush to apply your moisturizer. Using the same brush apply foundation over the top for an ultra dewy effect. In summer keep Caudalie Elixir in the fridge for a real refreshing pick me up. Apply night cream roughly half an hour before going to bed to prevent cream being transferred onto the pillowcase. NEW YEAR means reorganising so starting with makeup I’ve narrowed it down to the essentials that are now all in the same place for effortless application day to day. 1. Decleor Cleansing Milk – This cleanser works great on my skin which is normal to combination. The key thing that keeps me going back for more is the essential Oils of Lavender, Petitgrain and Mallow that give the product a therapeutic scent! 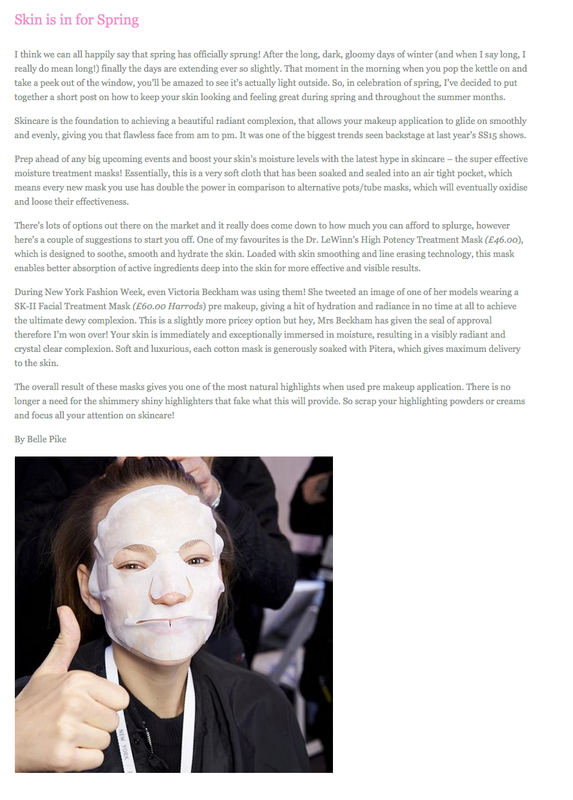 They also help to soften, calm and decongest to leave skin fresh, clear and perfectly balanced. The only downside is, if your in a hurry and skip toning it can leave an oily residue. 2. Elemis Balancing Toner – This product contains high Alpine Lavender which helps maintain the skin’s natural pH balance, whilst effectively clarifying the complexion. Its also completely free of alcohol or harsh detergents so this product has zero stripping effects on the skin. 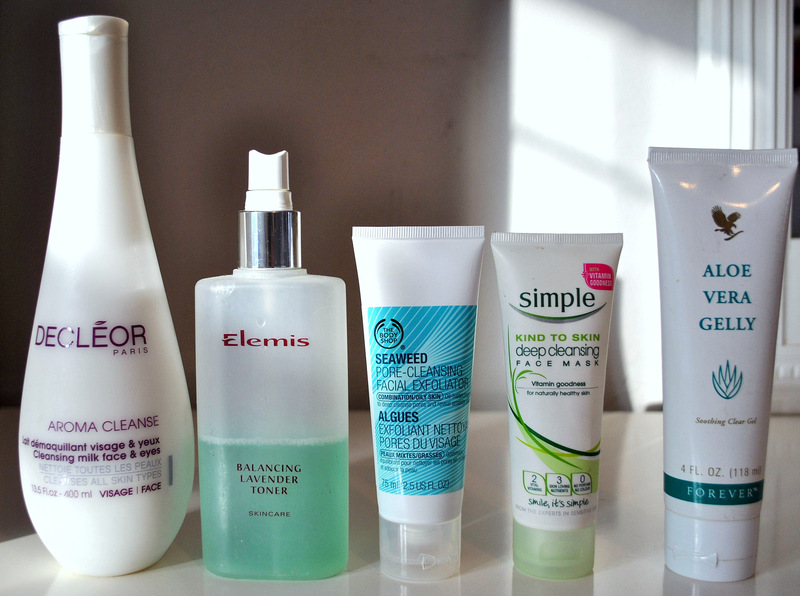 Making this toner a massive hit with dealing with my skin type! 3. The Body Shop Seaweed Exfoliator – I’ve always been a big fan of the body shop and their simple yet effective products full of natural ingredients. Using Jojoba Beads and Olive Stone Granules to exfoliate, and seaweed to soften and rebalance the skin this product does exactly what’s needed. 5. Forever Aloe Vera Gelly – The only reason I stumbled upon this product is because a sales MAN left samples round my house. I swear by the powers of Aloe Vera. It creates a layer of moisture on the skins surface to protect and is also a very effective way of healing any areas on your face from picking (yes picking … we all do it!) spots. This product can feel rather sticky on application but its easily absorbed.